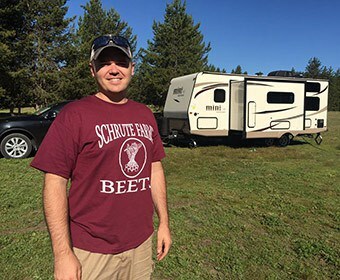 You just bought your first RV. Congratulations! After spending a few weeks getting all the necessary equipment for your trip and mapping out your route, you’re ready to hit the road. You climb into the driver’s seat, putting the keys in the ignition. Goosebumps prickle on your skin, the excitement and anticipation mounting. Then you start driving. You quickly realize that commanding an RV is nothing like driving a car or even a truck. Don’t wait until you hit the road to discover the differences. Instead, as a first-time RV owner, you should learn as much about what driving an RV is like as early as possible. This way you’ll be prepared for every scenario, be that bumpy terrain, tight turns, and small parking spaces. 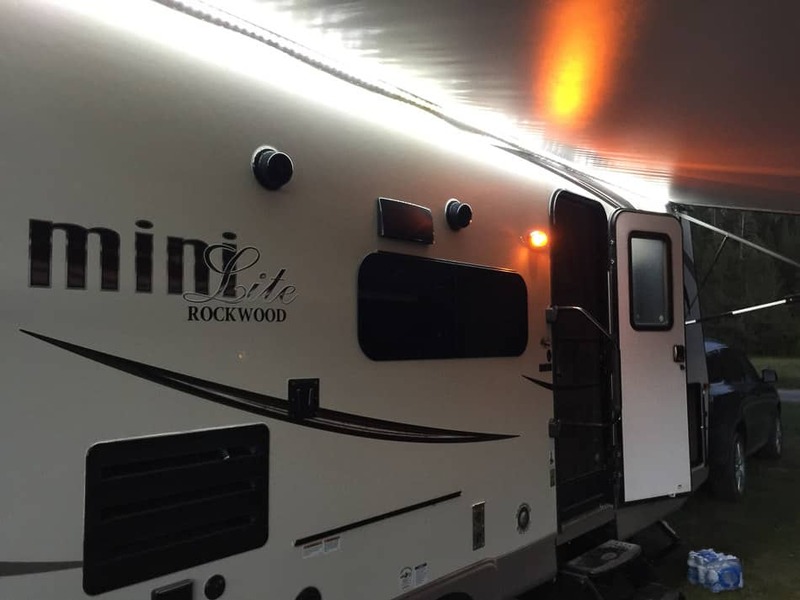 And before you buy your first RV, it’s a good idea to try one out first to see what you like. You may think you want a huge Class A but then realize, after driving one, that you really don’t like driving one. 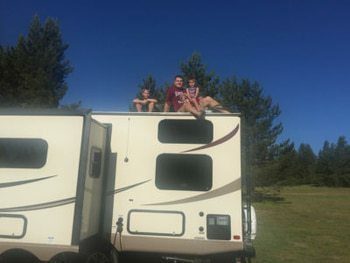 I recommend Outdoorsy for RV rentals. 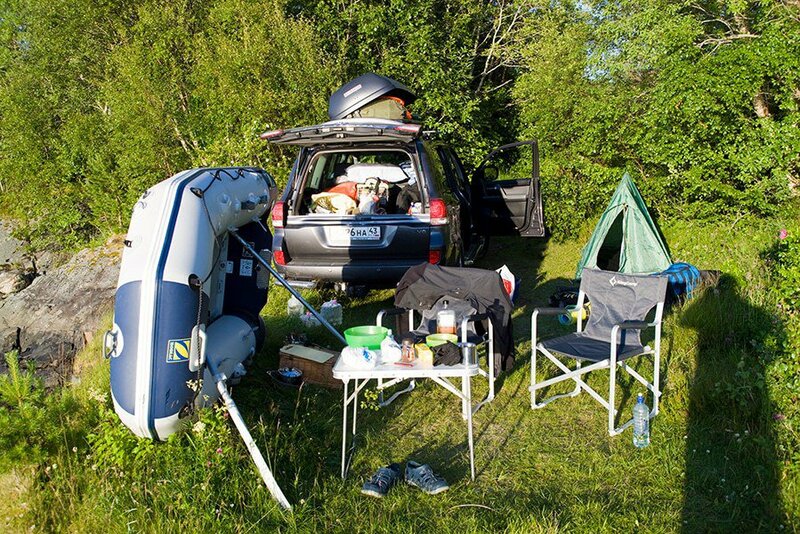 Through their service you can find local RVs and campers for rent. Check them out by clicking here. Not sure where to go to get started? You’ve come to the right place. Here are 11 of my best driving tips for first-time RV owners. In many ways, commandeering an RV is like when you were in high school and learning to drive for the first time. You’re going to feel clumsy, unwieldy, and inexperienced. Believe it or not, that’s okay. You don’t know what you’re doing—yet—but you will. Like when learning any other new skill, practice makes perfect. Find an empty parking lot (the bigger, the better!) and practice driving. Focus on turns, parallel parking, K-turns, perpendicular parking, and other tricky driving maneuvers. You may not be an expert the first time you get behind the wheel of your RV. That’s also okay. Practice makes perfect. If you get out there for a few hours each day and really dedicate yourself to learning the ins and outs of your motorhome, you’ll feel like a more experienced driver before you know it. It’s not as easy to see what’s behind you when driving an RV, but you still must have an eye to the rear of your vehicle at all times. Before you go anywhere, sit and adjust all your mirrors. Don’t be afraid to pull over and readjust them if you’ve noticed they need more tweaking. No, it can’t be a sunny, warm day every time you hit the road, especially if you’re traveling over state lines. That said, it can be difficult enough to maneuver a standard vehicle safely in inclement weather, let alone an RV. Download a weather app and use it often. A rainy drizzle or light flurries don’t have to stop your trip, but be smart. If it’s raining or snowing hard, there’s thunder or lightning, or there are strong winds, pull over somewhere safely. Make camp for a while. Other conditions you should avoid driving in are fog, ice, and hail. This is a situation where the old adage “it’s better to be safe than sorry” really comes into play. It’s far cheaper to repair a car or truck than an RV in the event of an accident. This almost goes without saying, but I still thought it should be mentioned here. When driving an RV, your days are about all about traveling from Point A to Point B. The distance between those two points can be hundreds of miles and sometimes several states. You probably have an itinerary with a schedule that you want to stick to. That may mean brushing off feelings of fatigue because you’re eager to get to your destination. This can be incredibly dangerous. 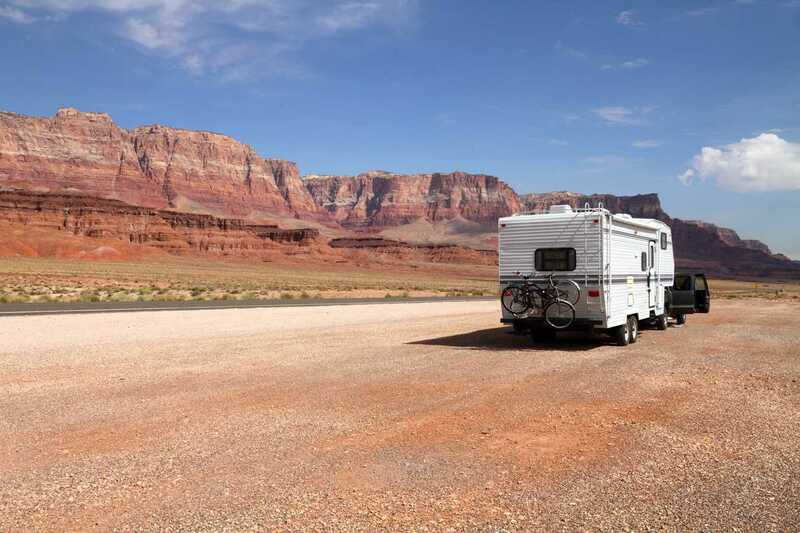 Driving an RV requires your full attention, especially as a first-time driver. To you, it’s all brand new, which means you need to be alert. It only takes one moment of being lax to get you in a car accident. Be smart. Take care of yourself. If you’re feeling tired, don’t push through it. Don’t reach for the caffeine, either. Too much coffee, soda, or even a supplement may make you feel jittery instead of more awake. That also makes driving dangerous. Instead, when fatigue strikes, you have two options. You can either 1.) pull over to a truck stop for a nap/sleep for the night or 2.) ask a passenger to take over driving duties. Your passenger must know how to drive an RV or else you’re putting lives at risk, both your own and the lives of other innocent motorists. From tunnels to overpasses, your road trip may take you on all kinds of interesting paths. You don’t want to have to stress about whether you can fit under a tunnel or through that toll road, though. How do you know where you can fit? Take the measurements of your RV before you go. 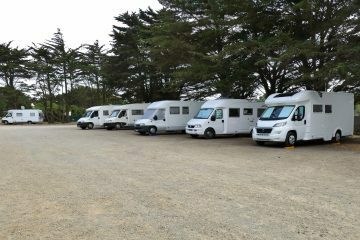 If you don’t remember the exact specs of your motorhome when you bought it, you can always measure the vehicle when it’s parked. Measure the width and the height. Most motorhomes are typically between 11 to 13 feet tall at most. Keep that in mind when driving through tunnels and overpasses. What do you do if you find a tunnel or overpass with less clearance than your vehicle allows? It’s time to turn on your GPS, be that on your smartphone or a separate mobile device, and navigate an alternate route. You do not want to risk getting stuck. In most instances, you’re going to be sharing the highways, turnpikes, and other major roads with hundreds of other motorists at a time. That means courtesy is the order of the day. You’re in a bigger, less common vehicle. That may make some motorists nervous. To show you’re not a threat, be as courteous as you can. If you know you have a left turn in several hundred feet, flip on your left turn signal. Gradually start merging over to the left lane. 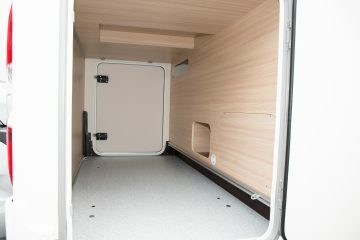 This gives those nervous motorists plenty of time to make room for you, reducing the risk of accidents. Know your route before you go and always signal as early as you can when driving an RV. You’re not in a car, so you can’t expect to signal right before your turn and miraculously squeeze in. It’s not going to happen. If you drive with that mentality, you could miss crucial turns and exits as well as pose a danger to other drivers. Unlike other drivers, who are frantically rushing to get to their destinations, you’re taking your time. After all, owning and driving a motorhome is supposed to be a leisurely experience, not one that fills you with road rage. RV experts recommend sticking to the 63 miles per hour mark and never exceeding 65 MPH. This may not seem very fast, but again, the point isn’t to go quickly. What if you’re on a high-speed highway or impatient drivers are cutting it close behind you? You should still try to maintain the same even pace of 65 MPH. If a driver wants to speed up, cut over a lane, and then cut in front of you, that’s their prerogative. Do not risk your safety for an impatient driver or two. Oh, and another benefit of going that same, even speed? You get better gas mileage. Unless you’re driving outside of the country, motorists stick to the right lane when driving. This advice goes a little deeper than that, though. As an RV on the highway, you might feel like you stick out like a sore thumb. You’re a slow, lumbering vehicle in a sea of fast cars speeding down the asphalt. How do you keep out of other peoples’ way? Where can you drive at the above-mentioned speed limit without feeling like you’re slowing other motorists down? Head all the way to the far-right lane. Why? You’re close to the shoulder if you have any mechanical issues, for one. Most importantly though, driving in this lane gives you the best visual access from your driver’s side mirror. Of course, if there are exits coming up on the highway and you’re not getting off, move left one lane over until all cars pass through the exit ramp. Then move back to the far-right lane and keep on truckin’. Okay, this one may seem like a basic, common sense tip. After all, every driver knows how and when to brake, right? Yes, sure. Yet the minute you climb into the driver’s seat of a motorhome, you realize that it’s a different story. 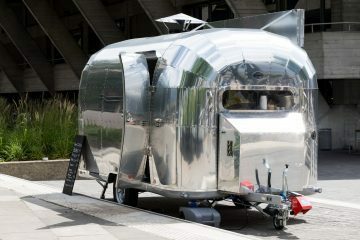 With its 5,200+ pounds of metal bulk, the average camper is heavy. 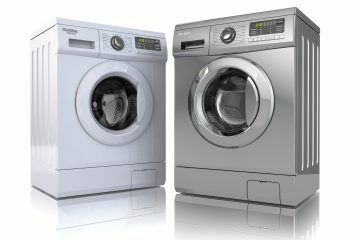 You also should account for the weight of your supplies, which can tack on an extra 1,500 pounds on top of that. You’re now talking about a vehicle that weighs nearly 7,000 pounds. Braking in an RV is not like braking in a car or truck. Even if you’ve driven a behemoth of a truck before, it still won’t set you up for the experience of trying to stop 7,000 pounds of metal. With a motorhome, there are no such things as sudden stops. You must be an alert, conscientious driver at all times. If you have brake for any reason, you must plan it out well in advance. It’s going to take time for your vehicle to roll to a complete stop, so you must make sure the path in front of you is always clear. That’s why it’s recommended that you don’t get too close to other motorists. Tailgating is a no-no. I already said before about how you can make other drivers nervous with the sheer mass of your RV. Don’t behave badly on the road on top of that. So how far should you stay away from other drivers? At least 400 feet. If you can do 500 feet, that’s even better. Not sure how far that is by eyeballing it alone? No problem. Count at least four seconds and then you’re far enough away from other motorists. Again, if you can count to six seconds, you’re in even better shape. That’s the amount of distance, at minimum, needed for you to brake and not cause any harm to others on the road. If an impatient driver is trying to close the gap between you, hold back even more. What is a tail swing? Before you drive your RV for the first time, you should know. Your RV may not be one solid piece. If it’s not, the coach, or the longer part of the vehicle, will not turn at the exact same time the front of the RV does. As the driver, you have to accommodate and plan for for that distance gap. To do so, you should calculate your exact tail swing. Bring someone with you. Find an empty street or parking lot. Roll your vehicle up so it’s flush with the painted white line. After checking that it’s safe, use the white line as a reference point for turning. The other person should watch as you turn to calculate the tail swing. Average tail swings are between 18 and 30 inches, but they can be more (or less!) depending on the size of your RV and how tightly you turn. Get comfortable with your tail swing number, because you’ll rely on it often. The more you practice, the more you’ll get comfortable with making tight and loose turns. Owning an RV is quite an accomplishment, but driving one for the first time can be a little nerve-wracking. This is an experience unlike driving a car or a truck, meaning you may not be as ready as you thought. 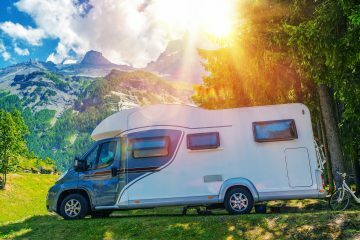 By practicing and preparing ahead of time and by keeping these 11 handy tips in mind, you should have few if any issues commandeering an RV for the first time. Remember to always be safe and smart out there, and have fun on your adventures, no matter where they take you! My exam is going on After 5 days my exam will be completed. Please give me some time if you give the permission then i can start my job and then you can send your trial work details. thank you sir for your information. Thank You Nicole. This is a well written and extremely helpful article. Awesome! It’s a big list for checking before driving an RV. Thanks for spending your valuable time for me!